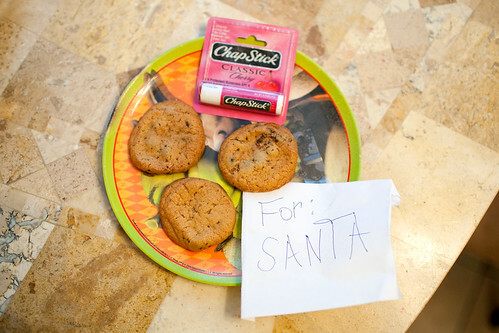 He left out cookies AND chapstick for Santa Clause. You know, just incase he gets chapped lips from flying around all night. He also left out cheese for the reindeer and crackers for the "reiniguanas". Because apparently there are iguanas on Santa's sleigh. This is hilarious. I love the cheese for the reindeer. Merry Christmas! CUTE! I left cookies for Santa too haha! I always knew iguanas were involved, I knew it! Hahaha I'm so stupid, I first read that as re-in-iguanas. D'oh. >< But that's so brilliant, your brother is positively adorbs. :D Merry Christmas and all thaaaaat, Katie and Katie's fam! Hahaha! Ohhhhh that boy is clever! And thoughtful! Hahaha ! :DD Merry Christmas! the cheese for reindeer is so funny and cute! happy holidays to you katie! Oh that's just adorable! We don't have the santa claus tradition here in Belgium, but we have something similar called sinterklaas. We leave them a beer and some sugar or carrots for his horse! HAHAH Oh golly, that is just wayy toooo adorable <3. That's just so cute from him! Merry Christmas Katie. And also to Matty, Moo, David and all the other family from yours! Hahahah, that's hilarious! 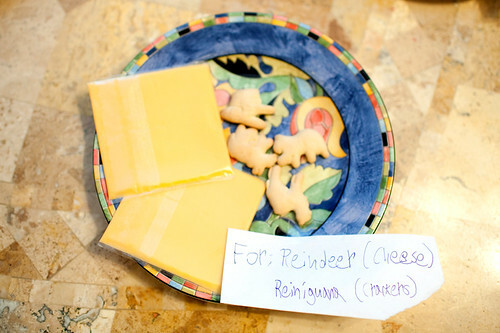 I didn't know reindeer liked cheese, or that reiniguanas even existed! The things you learn. :) Merry Christmas! It's Christmas morning and we are having a lull while we prepare Christmas dinner. I wanted to stop by and wish you the merriest of Christmases. May you and your family enjoy laughter, love and peace. 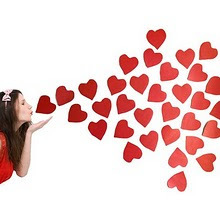 May you feel all the love that we feel for you. May you truly know you are blessed. Thank you for all the joy you provide in this space. Merry Christmas. Hope you & your family have a Merry Christmas, Katie! this post is making my family laugh! love it. Merry Christmas! Ah that's precious. I love the iguana snacks and chapstick. So great! bahahahaha this is the most precious thing ever! My mom has those dishes!